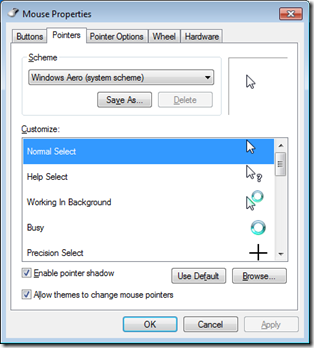 The group policy setting for the week this week is a new policy setting for Windows 7/2008 R2. 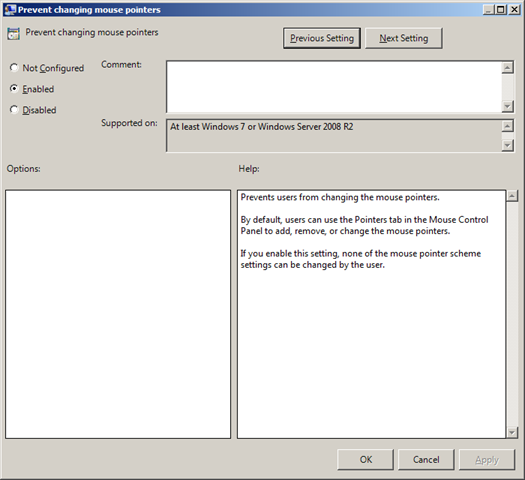 This setting is called “Prevent changing mouse pointers” and can be found under User Configuration > Policies > Administrative Templates > Control Panel > Personalization. 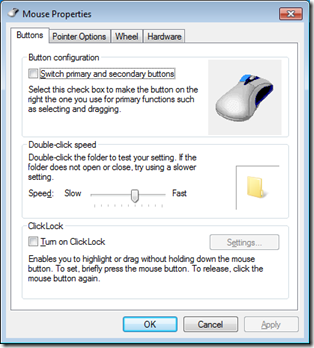 This setting is handy if you want to tightly control the user environment such as public access computers in a library or a common shared computer. 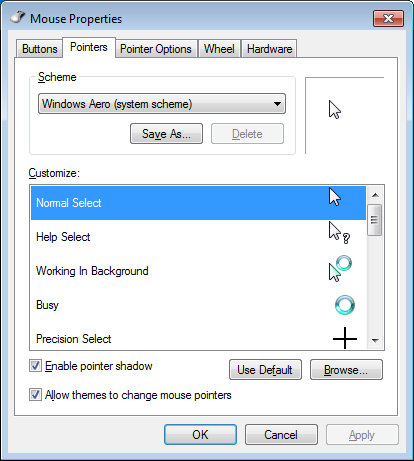 Below you can see how the “pointers” tab is removed when the policy is enabled. 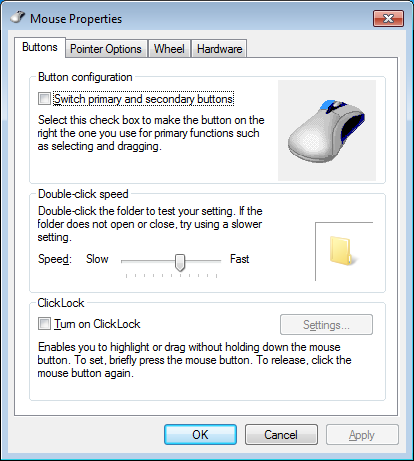 Be careful however when you apply this setting however as it will locks the use into whatever mouse pointer scheme they had active at the time the policy is applied. P.S. I jumped #30 and #31 because I recently discovered that I had two other setting of the week post’s with the same number. So as to not rename all the other setting of the weeks I have decided to just correct the numbering from this article going forward. 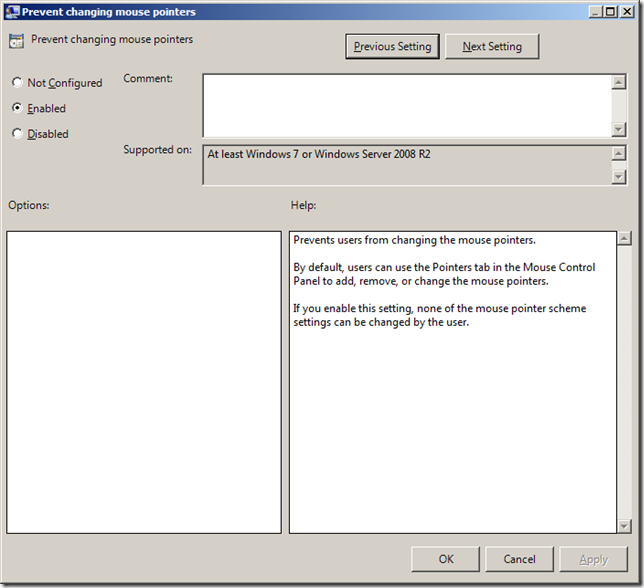 This policy is not working on server 2012. Please help! !